From the International Center of Photography, N.Y. Toured by the Art Gallery of Ontario. Accompanied by a folder produced by the Art Gallery of Ontario. 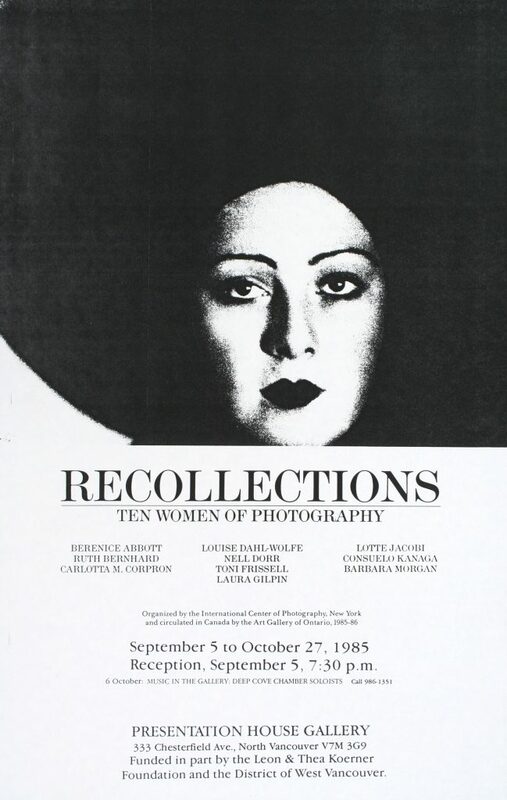 Poster for the exhibition "Recollections: Ten Women of Photography"